Birthday Cake tackles the ever-important issue of sharing, as the hero Clyde learns it’s as much fun to give as it is to receive. HAPPYLAND introduces three friends—Bink, Clyde, and Glub-Glub—in a series of delightful adventures that illustrate issues including sharing, gratitude, and worry. There’s nothing more important for little kids entering preschool than to be emotionally ready—ready to separate from their parents, to mix and play with new children, to broaden their sense of the world. 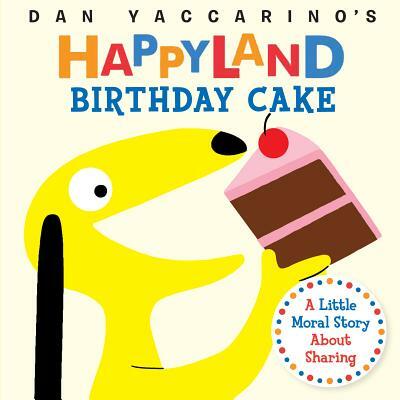 HAPPYLAND, from award-winning children’s author Dan Yaccarino, is the board book series that gives kids, and their parents, the language they need to take these emotional steps.